Chatting to Julia Shapiro is like catching up with an old friend. She greets me enthusiastically as we bemoan the 8-hour time difference between us, and how near impossible it was to set this interview up because of it. When I ask how she’s doing, she’s understandably excited about the release of Chastity Belt’s new album, ‘I Used To Spend So Much Time Alone’. “I just listened to our test pressing of the record, it sounds good!” she says. 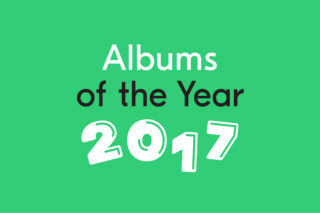 She’s not wrong: Chastity Belt’s third full length captures the band at their best, with a sound that’s more realised than previous efforts. 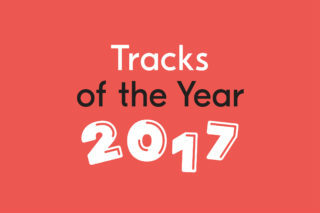 While 2013’s ‘No Regrets’ honed in on a propensity for melody and a penchant for partying, its follow-up (‘Time To Go Home’) seemed like a darker, more cynical counterpart. ‘I Used To Spend Time Alone’ blends the best of both worlds, and Shapiro agrees that it’s what they’ve been aiming for all along: “I think it’s a bit darker, we’ve all gotten better at writing songs and so with that I think it’s easier to write stuff that we actually want to be writing”, she explains. 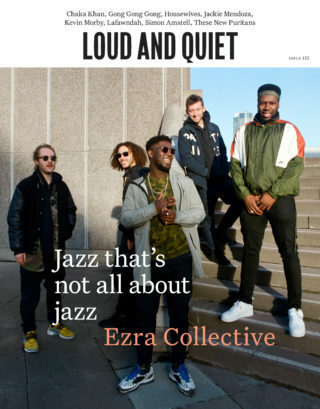 I talk to Julia about a couple of my favourite songs on the new album, one of which being a track called ‘Complain’, about looking at things pessimistically. I ask her to elaborate. “Yeah, ‘Complain’ is sort of about me being a negative Nancy. Not that I’m like that all the time – I still go out and have fun – but it’s about being angry and not being able to have fun and wanting to complain about it,” she laughs. 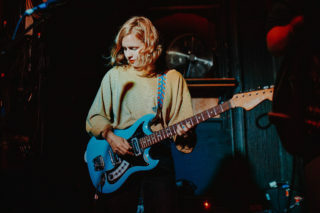 Despite this, Chastity Belt are still heavy party-goers. Their first album in particular focused primarily on getting wasted and having fun. But while the likes of, say, Best Coast depicted partying with near child-like simplicity, Chastity Belt have a tendency to make the subject sound almost profound, yet playful. Shapiro’s lyrics are smart, literate and completely devoid of the usual platitudes that many of their contemporaries are guilty of using. There’s a song that reminded me of myself on ‘I Spend So Much Time Alone’ called ‘5am’. It’s about being drunk, and that desperate search for gratification to make the night worthwhile. We talk about the sadness we feel when we know the night is over and everyone goes to sleep. 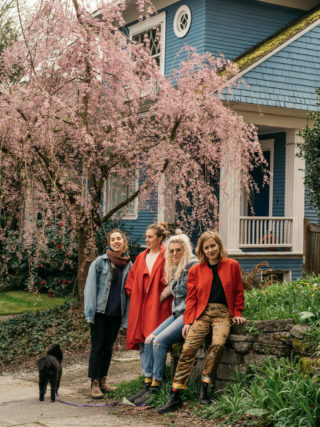 Chastity Belt are a band who like to challenge gender stereotypes and address feminist issues in their songs. They’re unashamedly ‘female’, in that they are uncompromising and defiant in their confrontational approach to feminism. I ask Julia if she consciously writes specifically to reach out to other women. “I don’t think it’s that conscious or deliberate,” she says. “It’s just that usually the sort of things I want to write about are relatable to other women”. 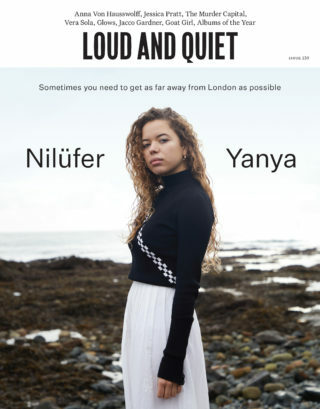 Julia reiterates something that’s always troubled me – not only music journalism’s casually patronising or faux try-hard approach to feminist bands, but the troubling way in which a lot of journalists write about women making music. We discuss our mutual hatred of the emphasis on gender to denote a strength in women that’s seen as a novelty. For example, it’s always of note if a front woman happens to have attitude; she’s ‘badass’, or ‘sassy’. Whereas, if it’s a guy, it’s not particularly anything worth mentioning, because it’s seen as normal, or they’re ‘strong’ and ‘charismatic’. 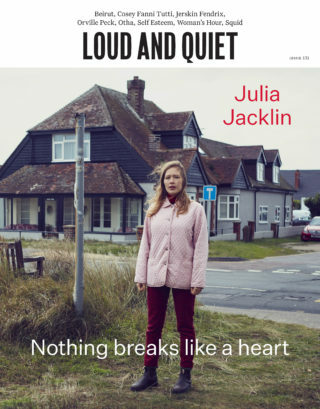 Julia asserts that it’s something that definitely bothers her, saying: “I scoff at headlines that are like ’10 badass female bands’, or whatever. Being labelled a ‘badass female’ is so embarrassing. I would be embarrassed to be featured in an article called ’10 sassy female bands’… Gross. With that in mind, I ask if she would say ‘I Used To Spend So Much Time Alone’ is a more ‘mature’ version of the band. 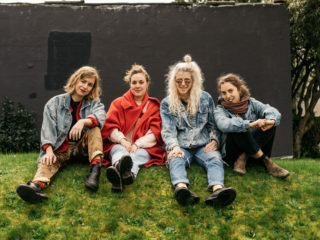 “Yeah”, she laughs, “I’d definitely say so.” One thing is certain – I can’t imagine Chastity Belt singing about early nights and sobriety any time soon. 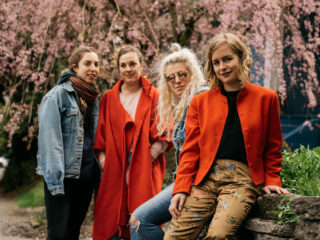 Chastity Belt have hit a pinnacle in their career, their maturity manifested in musical self-assurance and generally just knowing what they do best and going with it. What’s next for them, then? They have a couple of US tours planned this summer, and a U.K. and European tour in September. I mention the time I saw them at The Brudenell in Leeds. Julia bleats, excitedly: “I love that venue! We’ve played there twice now and we’re booked there again in September.” We make plans to hang out at the show, once again reaffirming that it’s less of an interview, and more of a conversation between two friends. These are the best kinds of interviews of course. Later, I replay ‘I Used To Spend So Much Time Alone’. Much like our conversation, the album elicits the warm, comforting presence of that friend you can always rely on. It reaches out to those experiencing the grievances – trivial or not – of being in your mid-late twenties, still trying to figure stuff out, but grappling with the notion of what it is to be an ‘adult’, and still trying to find the meaning of life during drunken late-night conversations. That’s the great thing about this band. They’re relatable, but not overly familiar. We’ve not heard what Julia sings in countless other pop songs. The subject of love, for example, is forgone in fear of sounding too formulaic, or ‘cheesy’, as she says. Julia elicits the mundane; the everyday in a way that manages to sound interesting. Yet Chastity Belt also get tantalisingly close to guitar pop perfection.